Hunting and Fishing Post all your hunting and fishing experiences here. 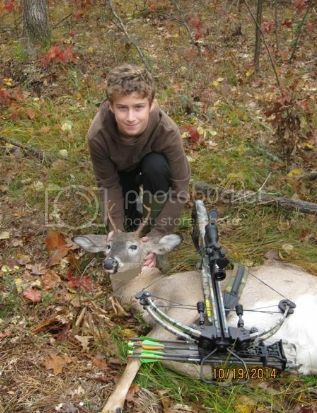 11 yr old Grandson with his first. Way to go young man! You'll relive that hunt for a long time. A little friendly advice, for future field photos poke the tongue back in; makes for a nicer picture. Congrats! wiped all the blood off the side just forgot the tongue. grampa was to excited to remember everything. will do next time. Minor details on such a great accomplishment. I have a feeling there will be many more opportunities for field photos.